Brothers form a team to run from 10am Saturday to 10am on Sunday in order to honor cancer survivors, pay tribute to those lost to the disease, and raise money to help fight cancer here in our UC Davis community. This is an event very dear to our chapter having a brother who is a cancer survivor. This year, brothers raised over $300 in support of the fight against cancer. Brothers teach elementary school students the basics of coding at Woodland Public Library. By teaching in a fun and easily understood manner, Omicron Gamma's hope is to raise interest in Computer Science among the youth. 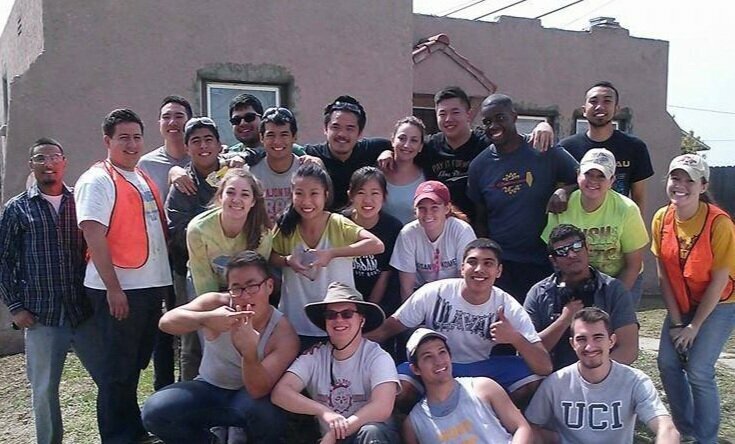 Every Spring, Theta Tau brothers from all different chapters come together to help build homes for the less fortunate in Ventura, California for a week long alternative spring break. Omicron Gamma has participating brothers every year.